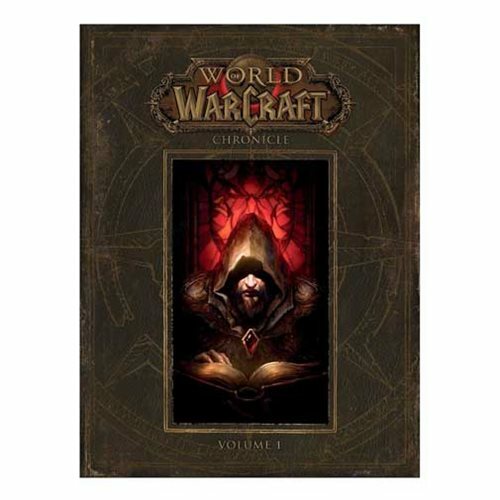 The World of Warcraft: Chronicle Volume 1 Hardcover Book is a journey through an age of myth and legend, a time long before the Horde and the Alliance came to be. This definitive tome of Warcraft history reveals untold stories about the birth of the cosmos, the rise of ancient empires, and the forces that shaped the world of Azeroth and its people. This beautiful hardcover features twenty-five full-page paintings by World of Warcraft artist Peter Lee, as well as a cosmology chart, half a dozen maps charting changes through time, and other line art illustrations by Joseph Lacroix, and marks the first in a multipart series exploring the Warcraft universe; from the distant past to the modern era. The 184 page book measures about 12 3/10-inches tall x 9 3/10-inches wide. Ages 13 and up.